The much awaited draft for e-pharmacies eases conditions that would have made it difficult for them to operate in this space, but also keeps enforceable penal provisions in case of any violations, according to persons aware of the latest draft. For instance, the latest draft, which ET has viewed a copy of, removes a condition earlier proposed that would have required online pharmacies to apply for licences in every State they would sell medicines in. 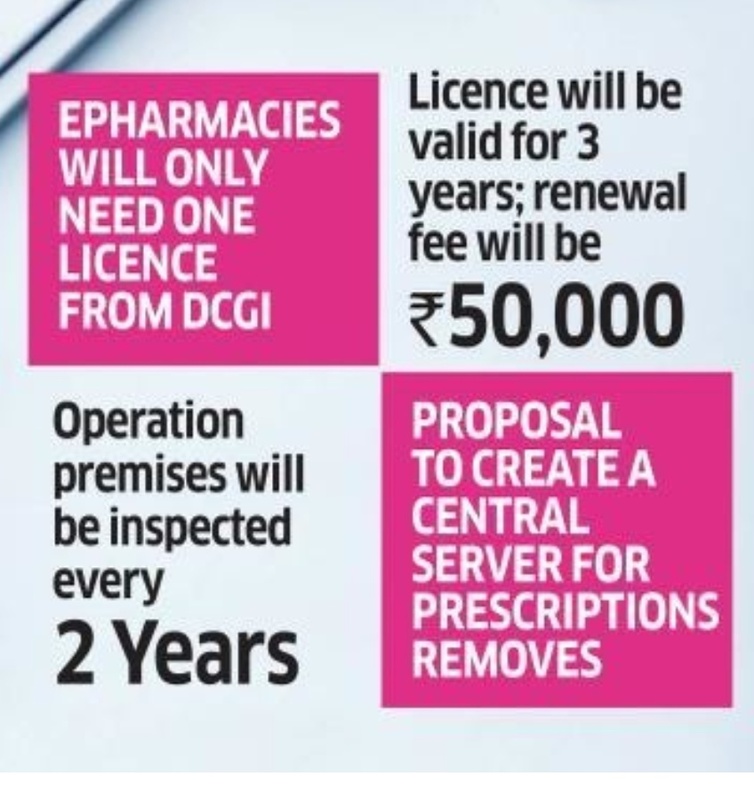 Now, e-pharmacies would only have to seek one licence from the Drug Controller General of India, the country's apex drug regulator and central licencing authority. It has also done away with a proposal to create a central server through which all online prescriptions would be routed to individual e-pharmacy portals. This system was earlier proposed as a measure to curb potential abuse of prescription medicines by ensuring that a patient does not continue to use the same prescription at different e-pharmacies, a senior government official had earlier said. "A single registration from CDSCO for e-pharmacies is the biggest positive. However, to give detailed reactions we will need to scrutinize the draft rules once notified," Pradeep Dadha, founder and CEO of Netmeds, told ET. Even while licencing requirements have been relaxed, e-pharmacies will be closely watched and could face tough penalties in case they violate regulations, according to the draft. 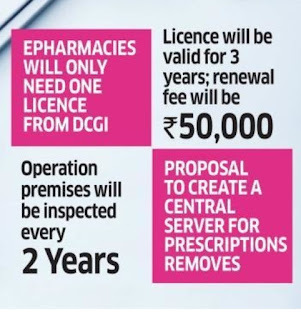 The licence granted by the central authority would be valid for a period of three years and e-pharmacies would have to pay a fee of Rs 50,000 to renew the licence after it expires, according to the draft. During this time, the premises where the e-pharmacies operate will be inspected periodically every two years, according to the draft. This is to keep a stringent watch on the online businesses so that they operate "without any violation", the official earlier told ET. According to the latest draft, e-pharmacies would only be able to sell medicines through premises with valid retail licences. The retailer dispensing the medicines would have to keep records of e-prescriptions of patients. In case of violations, the regulator can suspend and even cancel registration licences of e-pharmacies after giving them an opportunity to show cause as to why such an order should not be passed against them, according to it. E-pharmacies would have to update information like the availability and types of medicines for sale as well as the supply channels and vendor lists on their portals, according to the draft. The proposed regulation has also maintained measures proposed earlier to ensure that patient data is not misused by third parties or sent out of the country. "Details of the patient shall be kept confidential and not be disclosed to any person other than the Central Licencing Authority," states the latest draft. This information will only be shared with the authority for "public health purposes". E-pharmacies will also require a facility for customer support which will operate for at least 12 hours every day of the week, the draft proposes. Online pharmacies will be regulated under the Drugs and Cosmetics Rules, 1945 would also have to abide by regulations like the Information Technology Act, 2000 and the Narcotic Drugs and Psychotropic Substances Act, 1985. They will not be allowed to advertise any drugs over the radio or television, the draft added.